Sherburn Metalwork Ltd specialise in the design and fabrication of metal vehicle components, systems and structures. With over 35 years’ experience in the specialist fabrication sector, we are able to manufacture and supply an extensive variety of vehicle parts, ranging from small one-off pieces to full bus frames and chassis. Operating from a purpose-built facility in Yorkshire, our highly-skilled team of engineers are fully conversant in all aspects of fabrication and trained in MIG, TIG, MMA and Sub-Merged Arc Coded Welding in all disciplines. We work with a range of materials including mild steel, 304/316/2205 stainless steel, boiler plate, corten and titanium to name but a few. Over the past few years we have also made substantial investments in state-of-the-art robotic welding technology as a way of improving our overall manufacturing speed and accuracy, as well as cutting costs for our customers. 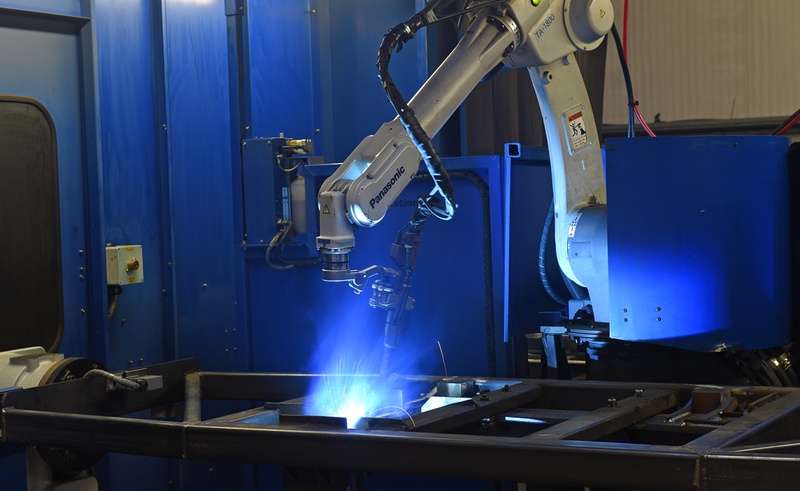 We offer robotic welding as a 24 hour service alongside an in-house jig design and build service.